The cause of the foot pain, whether due to injury or a disease or condition, is what determines the type of foot orthotic that is designed for an individual patient. The removable shoe inserts are made by taking an impression of the foot with a plaster cast mold or a 3-D laser scan and then making adjustments, if necessary. Who Is Helped by Wearing a Custom Foot Orthotic? In adults with painful pes cavus for more than a month, custom foot orthotics decreased foot pain after 3 months compared to fake foot orthotics. In juvenile arthritis patients at least 5 years old, custom foot orthotics reduced foot pain after 3 months compared to wearing supportive shoes, but did not reduce pain after 3 months when compared with prefabricated neoprene shoe inserts. In adults with rheumatoid arthritis, custom foot orthotics reduced rearfoot pain after 3 months compared to no treatment, but did not reduce foot pain after 3 years compared to fake orthotics. Custom orthotics did not reduce pain in the big toe joint after 6 weeks or 3 months any more than supportive shoes or non-custom foot orthotics. For plantar fasciitis, custom foot orthotics did not reduce pain at 3 or 12 months compared to a fake orthotic. Custom orthotics were not superior to night splints in these patients. It may also not reduce foot pain after 2 weeks any more than a combined treatment plan of manipulation, mobilization, and stretching for patients with plantar fasciitis. In patients with hallux valgus who were less than 60 years old, custom foot orthotics reduced foot pain after 6 months compared to no treatment, but may not be as effective as surgery after 6 or 12 months. The improvements that occurred after using custom foot orthotics were modest -- 11, 14, or 19 points on a 100-point scale. But, any relief is significant relief for people suffering with foot pain. If you have persistent foot pain, ask your doctor whether foot orthotics may help you. While the effectiveness of orthotic use for arthritis should not be overstated or oversold, there does seem to be clear benefit for some patients. It's an option to be considered and should be discussed with your doctor. Some people have avoided orthotics because they can be quite costly. 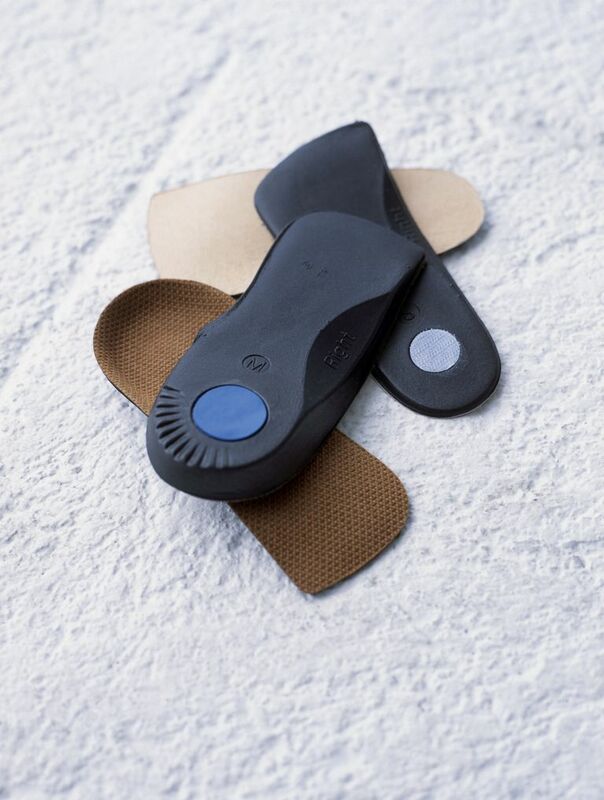 But, over-the-counter orthotics have gained in popularity and it too may be an option. Prescription Foot Orthotics Can Help You Put Your Best Foot Forward. Rock Positano, DPM, MSc, MPH. Hospital for Special Surgery. 10/12/2004. Custom-made foot orthoses for the treatment of foot pain. The Cochrane Library. Fiona Hawke et al. Published online: 16 July 2008 in Issue 3, 2008.